What just happened? Has half the country endorsed hate, fear, ignorance, racism, white nationalism, misogyny, sexual assault, xenophobia, environmental suicide, nuclear instability, and a war against the poor, the immigrant and the “other?” It has certainly given us the sickening prospect of unprecedented vulgarity, cheesiness, immaturity, dishonesty and self-dealing in the White House for the indefinite future. Is this a case of “they know not what they do?” Those who proudly wear swastikas or Klan hoods, or wallow in the swamp of alt-right delusion, knew exactly what they were doing, but they are relatively small in number. A far larger faction has argued that while Trump might be a “scumbag” (to quote a Facebook friend who voted for him), his opponent, seen through the lens of misogynist fears and Republican fictions, was far worse. Of course, my own sense of bewilderment and shock at the outcome brands me as one of the arrogant and clueless elite. For the crime of writing my last post, Top Ten Reasons to Stop Trump Now, I have had to sweep up my share of broken glass. But where do we go from here? Are truth and reconciliation viable options in such a divided America? Can’t we all get along? At the end of the eighteenth century, the President of the United States, supported by the religious right and a wealthy elite, began to round up dissidents and throw journalists in jail. And he garnered support for this assault upon civil liberties by stirring up fears about war and foreign enemies while dividing the country along the fault lines of self-interest and resentment. The Vice President, deeply disturbed by this mockery of America’s founding ideals of liberty and the common good, tried to summon hope. So wrote Thomas Jefferson in 1798. There will be earthquakes, famines and plague. And you will be hunted down, arrested, thrown in jail. Some of you will be killed. But don’t give in to fear. 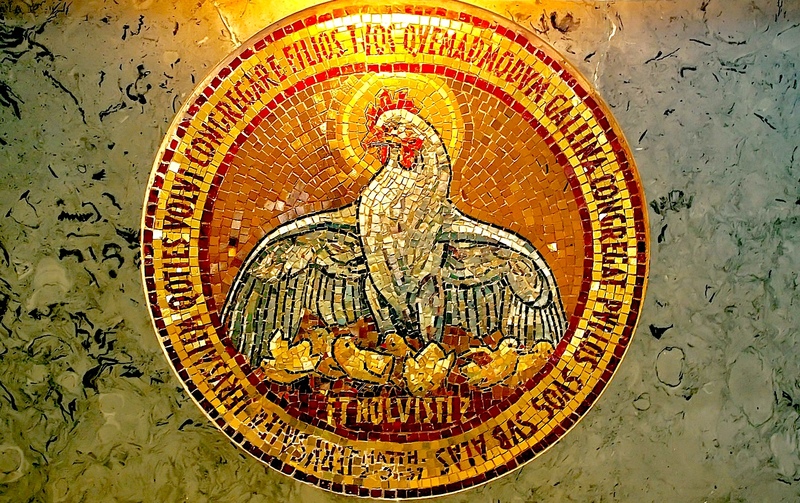 In the end, Malachi suggests an alternate possibility: The sun of righteousness shall rise, with healing in its wings. [vi] But is that only possible once the demonized “other” has been eliminated? The dream of forging a new order with blood and fire has mesmerized much of human history, and the Bible sometimes veers in that direction, the direction of “sacred violence”—violence that intends a better world. Sacred violence has its allure: the dream of remaking the world with force. It’s the dream of terrorists, it’s the dream of the Christian right, and if we ourselves are honest, it’s a dream each of us can understand. Who among us could not suggest a few “arrogant evildoers” as appropriate stubble for God’s cleansing fire? I’ve got my list. But the Bible, unlike the terrorist, tends to take the point of view of the victim of violence, a perspective which destabilizes all notions of violence as sacred or good. The Son of God hanging on the cross makes all violence suspect. When the last of the prophets, John the Baptist, considered the tree that fails to produce good fruit, he said, “Chop it down and burn it.” But if we did that, if we really did that, what would be left but a world of stumps and ashes? When Jesus began his ministry, he renounced the Baptist’s axe, and let himself be nailed upon that barren tree. And by his act of powerless love, he awakened us from the mesmerizing dream of violence and vengeance and victory over our enemies, and made the earth fruitful at last with the feast of forgiveness, the banquet of reconciliation, the food and drink of new and unending life in God. O Jesus! O Jefferson! Where lies our hope in such a time? Can we endure, as Jesus counsels? Keep on keeping on. This too shall pass. An imperial, bellicose, gluttonous America is unsustainable in the long run. Reality is simply against it. Whether it’s environmental disaster, economic collapse, civil strife, a Middle East quagmire, or the spiritual costs of building our politics on selfishness and lies, the bill will come due. Must it be the cleansing fire of apocalypse? Or is there a way of national transformation not so costly to the earth and its people? Is it possible to forge together a political and economic life guided by the better angels of our nature? In 1630 a little ship called the Arabella brought a group of immigrants to the shores of this country. Their leader, John Winthrop, preached to them before they disembarked: We shall be a city upon a hill. The eyes of all people are upon us. …we must be knit together in this work as one… We must entertain each other in brotherly affection. We must be willing to abridge ourselves of our superfluities for the supply of others’ necessities. We must uphold a familiar commerce together in all meekness, gentleness, patience and liberality. We must delight in each other, make others’ conditions our own, rejoice together, labor and suffer together, always having before our eyes our commission and community in the work, our community as members of the same body. Is this really possible? Can we truly delight in each other, make others’ conditions our own, rejoice together, labor and suffer together? In one of the darkest moments in American history, this is the work we have been given to do. Is the American Dream a Con Game? [iii] David Wong, “How Half of America Lost Its F**king Mind”, Cracked, Oct. 12, 2016: http://www.cracked.com/blog/6-reasons-trumps-rise-that-no-one-talks-about/ Wong’s analysis is a must-read. Sometimes I lead retreats to explore correlations between biblical narratives and our own stories. It’s not just a matter of putting ourselves in a given Bible story as a method of interpreting it. We also need to let it interpret us, as we discover the biblical motifs which are playing out in the particular circumstances of our own lives. What is my creation story, what is your exodus story, what is each one’s death and resurrection story? 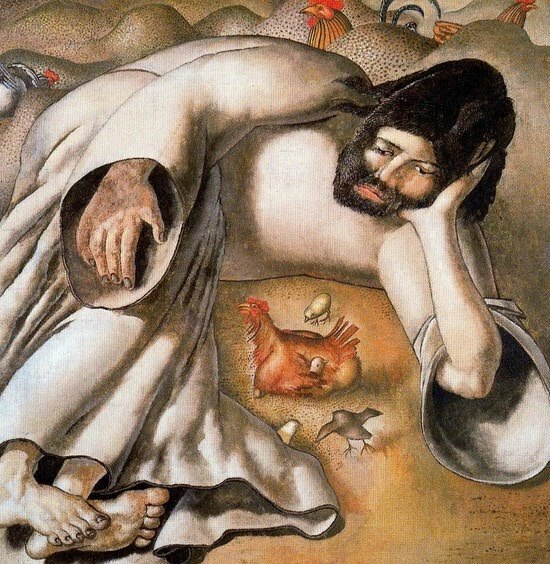 At one such retreat, we considered Jesus’ parable of the Prodigal Son. After studying the text, we tried out various ways of retelling it in our own words. Then we divided into three groups: Fathers, prodigal sons, and elder brothers. Membership in each group was determined by chance, although it turned out that the “elder brothers” consisted mostly of firstborn children. Each group was asked to wrestle with their assigned character. What do you feel about this character? What does the story tell you about him? What does the story leave unsaid? Then they were invited to share a related story from their own lives. Tell about the struggles of being a parent, a child, or a sibling. Tell about a time you were forgiven, or needed to forgive. Tell about a time you felt neglected or ignored, envious or resentful. One man said he had been disappointed at first to draw the father’s group, because he always related more strongly to the elder brother. As the oldest child in his family, he had some of the issues common to that role. He knew the burden of wanting to live up to his parents’ expectations, to be “perfect,” obedient, one who pleases by getting everything right. He had also experienced some envy and resentment of younger siblings who seemed more carefree and less responsible. But as he listened to others in the group engage with the father’s side of the story, it occurred to him that he himself had actually been a father for as long as he had been only a son and brother. Maybe, he said, it was time to rethink his own story and who he was in it. The younger son’s sins may have been more dramatic and colorful, but the elder brother’s bitter and jealous heart grieved his father just as much. Both sons are lost. Both need to be welcomed “home.” As Rembrandt’s painting shows, the elder stands in the shadows, separated from the radiant light surrounding the father and his youngest child. 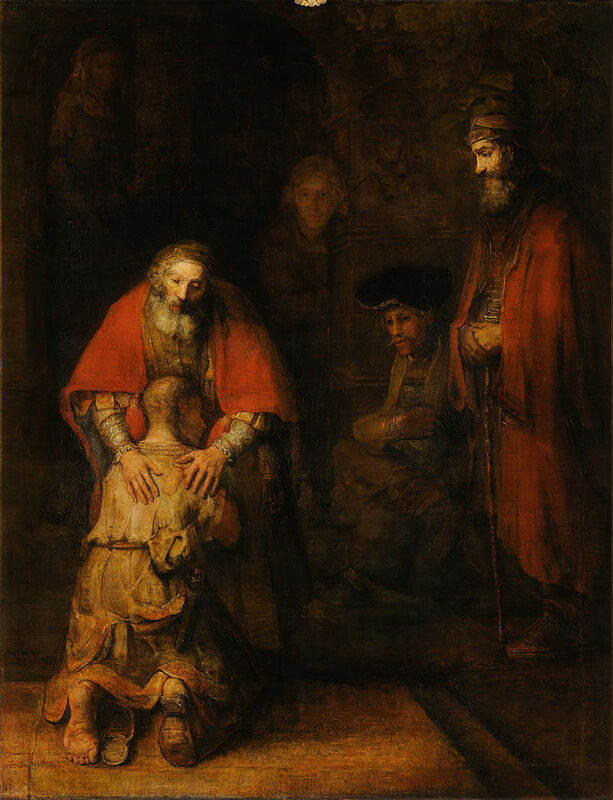 Nouwen describes the differences between the father’s hands in Rembrandt’s painting. His left hand is strong, masculine, gripping his son encouragingly. His right hand seems more refined, almost feminine, offering the caress of consolation. The father’s red cloak also conveys shelter and protection, like the enfolding wings of a mother bird. Love so amazing, so divine, has a cost. It does not always produce happy endings. In the “fathers” group at the retreat, one woman told us about her own prodigal son, a forty-year old man who had struggled for years with his own lostness. “I welcomed him home every time,” she said, “and then he would just break my heart all over again.” Six months before our retreat, he had committed suicide. When we hear the parable, it is natural to focus on the prodigal’s experience of unconditional, unmerited welcome. We all long to hear the word of mercy for ourselves: weary pilgrim welcome home. But Nouwen won’t let us stay there. Although we each need to make our way on the difficult journey home, in the end we are called to claim the role of the father as well. Forgiven so much, may we also become the ones who forgive, whatever it costs. Even in the darkest hours of mankind, there might be a voice within us that allows us to remain human. These words, spoken last night at the Academy Awards, struck me with particular force, since one of the most famous accounts of that voice had just been told in the morning liturgy. Although Exodus 3: 1-15, the story of the burning bush, does not describe a voice coming from “within,” I believe that the voice which Moses heard at the foot of God’s mountain was the same voice which the Hungarian filmmaker longs to hear, the same voice we all long to hear in a dark time when the humanity of our country, our world, and ourselves is being called into question. Whether it speaks in an interior whisper, or calls to us from an exterior source, the voice “that allows us to remain human,” to remember (or discover) our true humanity, is the voice which has been speaking us into being since the beginning of the world. It is the voice of revelation. The sense of a truth coming from “outside the self” may seem a contradiction to Nemes’ “voice within us,” but only if we understand ourselves as separate, autonomous beings more or less self-contained and complete. 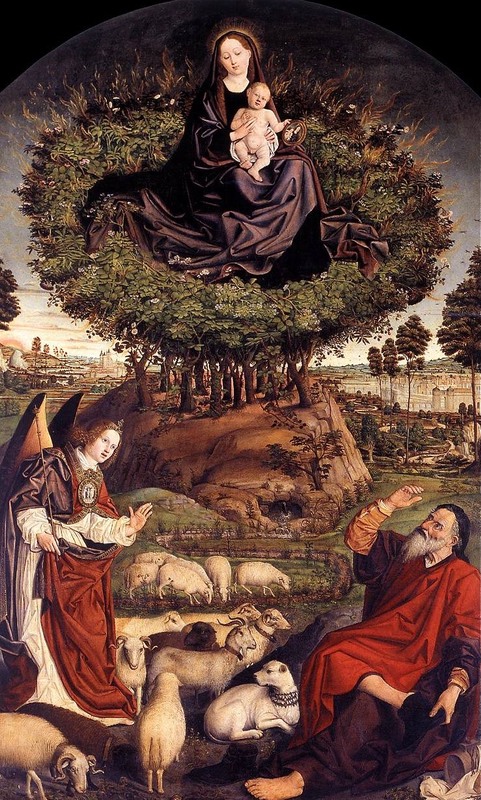 If we are made in the image of the Trinitarian God, then we are part of a larger, interdependent flow of self-diffusive love in which outside and inside, or divine and human, are not strict opposites, but partners in a dance. We are constituted by a process of receiving our being from somewhere else, and in turn giving ourselves away. We “lose” our life to find it, as Jesus said. 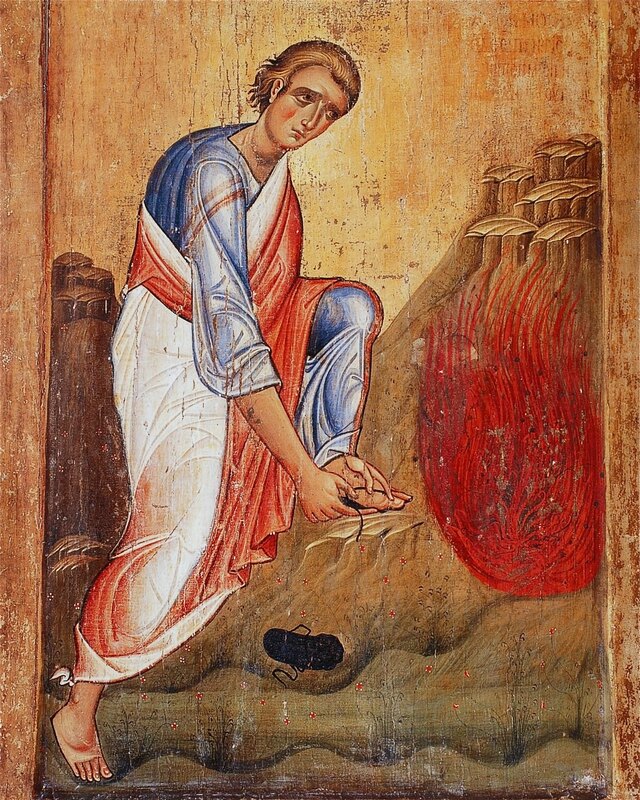 Like that bush in the Sinai, we burn with divine fire, yet are not consumed. The first time I went to the Holy Land, in 1989, I saw a burning bush. It happened to be Ascension Day. I was visiting the Anglican sisters in Ramallah, with whom my mother had once worked to teach and care for Palestinian Christian children. Since a border closing prevented us from going to mass at a Benedictine church known for its beautiful chanting, a couple of the sisters took me for a walk in the local hills. As we descended a ravine, we encountered a shepherd with his small flock. And behind him, a little further on, I saw, with considerable astonishment, a burning bush. Why it was on fire, I never learned. If it spoke, I did not hear. Sometimes the voice is for the shepherd’s ears only. But I never forgot the wonder of it. In an exquisite fifteenth-century tryptich by Nicolas Froment, Moses beholds the Madonna and Christ Child in the “burning” bush. There are no prominent flames. The Word made flesh is both voice and fire. God incarnate is the ultimate revelation by whom and through whom and in whom we may, at last, become fully human. The gospel image for today, the Fourth Sunday of Easter, is the good shepherd who “calls his own sheep by name and leads them out” (John 10: 3). Unlike the hired hand who cares little for the sheep, Jesus loves his flock. He will lay down his own life for them. And they in turn know exactly where to put their trust. “I know my own and my own know me” (John 10: 14). “The sheep that belong to me hear my voice … and they follow me” (John 10:27). Sheep are not a part of my daily life, so I didn’t fully appreciate the metaphor until I visited a sheep market in Jerusalem in 1989. Starting at 6 a.m. on Fridays, shepherds would bring their sheep in trucks, vans and even the back seats of cars to a stone-walled corral to begin spirited negotiations with potential buyers. Once the corral had been crammed with wall to wall sheep, I wondered how the different shepherds would ever keep track of their own. But it soon became clear what Jesus was talking about: I know my own and my own know me. 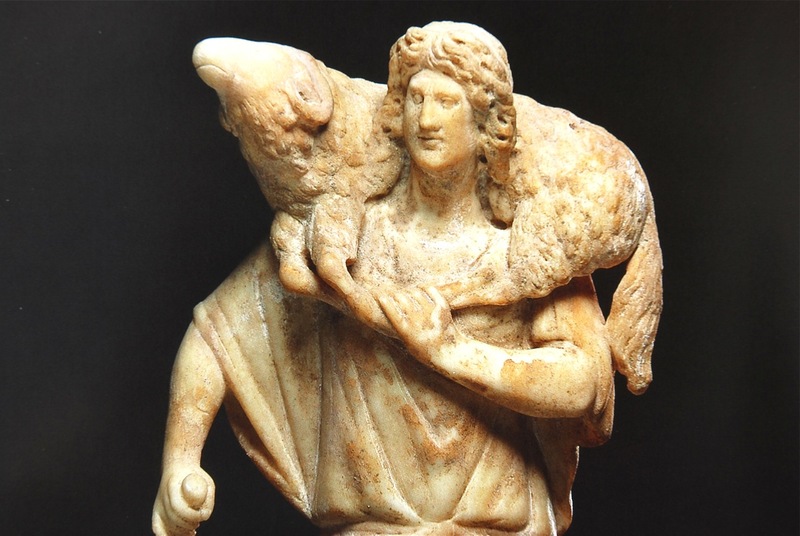 Although many human voices were speaking and calling simultaneously, each of the sheep responded only to the distinctive voice of its own shepherd. Our own shepherd’s voice can still be heard, calling us every time we open the Bible. The attentive reception of Scripture is a form of real presence. When the gospel is read in the Eucharistic assembly, or meditated upon faithfully, Christ speaks – not from the past, but addressing us now in our own present with words of challenge and refreshment: Turn your lives around … Follow me … Take up your cross … Don’t be afraid … Your sins are forgiven … Peace be with you … Love one another. Countless Christians through the centuries have heard and answered the voice of Jesus mediated in this way through the written texts of Scripture. But are there other ways of hearing the shepherd’s voice? Does it still find ways to speak in the now, without the mediation of ancient texts? Or is the God who spoke long ago now wrapped in permanent silence? In the first book of the Bible, God speaks directly to human beings. Although we are never given a location or visual description of the speaking God, the words themselves seem as naturally delivered as any of the human speeches in the text. 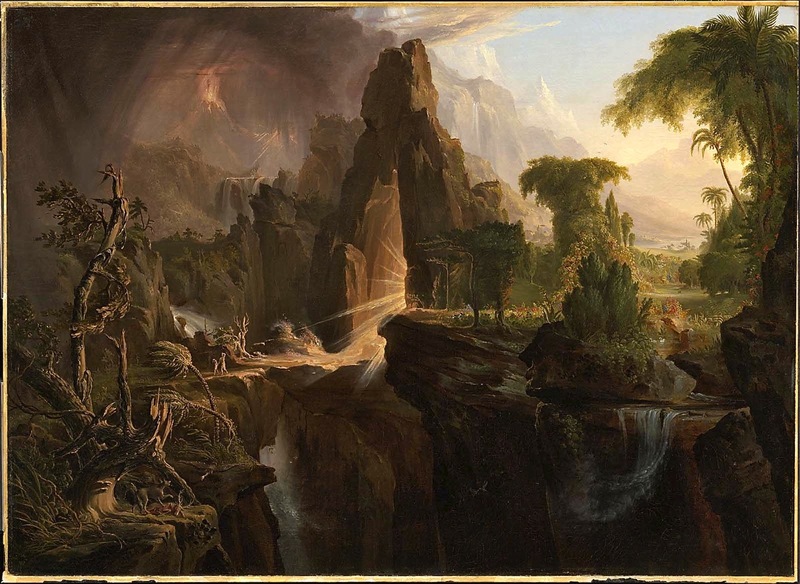 In the second book, the divine voice becomes less “natural,” uttered mysteriously from a stormy cloud or burning bush. By the fifth book, divine speech is largely of the past, something remembered and taught instead of heard directly: “Yahweh then spoke to you from the heart of the fire; you heard the sound of words but saw no shape; there was only a voice” (Deut. 4:12). By the time we reach the First Book of Kings, the God whose voice had thundered commandments to Moses is reduced to “a still small voice,” or more accurately translated, “a sound of thin hush” (I Kings 19:12). The voice of God has become the sound of silence. Thereafter, God’s biblical speeches are secondhand reports from the mouths of the prophets. The whole narrative arc of the Hebrew Scriptures “from Eve to Esther,” as Richard Elliott Friedman puts it, may be described as a “step-by-step diminishing of God’s apparent presence.”[i] As Isaiah says, “Truly, you are a God who hides himself.”[ii] Or as the Psalmist complains, “My God, my God, why have you left me?”[iii] In the public, shared experience of God’s people, the face of God becomes hidden and the voice of God grows silent. God disappears as a speaking character in the Bible. For those attached to a more majestic divine self-disclosure, this has made God much harder to see. As Pascal put it, “when it was necessary for [God] to appear, he hid himself more deeply yet, by wrapping himself in humanity. He was much more easily recognizable when he was still invisible than when he made himself visible.”[v] But for those with ears to hear, the still small voice may be heard every day from our neighbor’s mouth. Methought I heard one calling, Child! But as the word “methought” indicates, the experience of being addressed by God, undoubtedly a real one for the prayerful Herbert, was filtered through imagination, reflection and poetic language. We can’t assume it to be verbatim. Three centuries earlier, English mystic Julian of Norwich, while gravely ill, had an intense visual and auditory experience of the suffering Christ, which she would later recount in the first book written by a woman in English. The book’s title, Showings, categorizes her visions as something received, not simply produced in her own mind. The things Christ said to her were not simply variations on gospel texts, but words never before heard, directed specifically to Julian. As Veronica Mary Rolf has noted, Julian was careful to specify “which of Christ’s words she heard spoken distinctly within her mind, and which words arose in her mind ‘as If’ Christ were addressing her directly, according to what she understood to be his meaning.”[vii] Julian’s experience is compelling, and when Jesus tells her that “all shall be well,” who can say she was not hearing her shepherd’s voice? “Jesus calls us,” the hymn says. “Day by day his clear voice soundeth.”[viii] How literally should we take this? Have you, dear reader, ever heard the Voice that calls you by name? I myself have never heard it in an auditory way, as an actual sound. But I can remember one particular occasion when, I believe, the Voice addressed me, simply and directly. For whatever reason, I was not having the uncomplicatedly beautiful experience I had anticipated. I felt disappointed. On my second night, the two-hour liturgy centered around a large painted Byzantine cross. All who wanted could draw near for a time of prayer and adoration. When my turn came, I leaned my forehead against the cross and prayed, “Well, God, here I am at Taize. It’s not at all what I hoped for. Now what?” I waited, not really expecting an answer. But then these words came into my thoughts, precise and clear like something given, rather than any halting formulation of my own: Stop looking for a gift for yourself. Look for the gift you can give another. It was an awakening. Tears filled my eyes. Tongues of flame danced in the red votives around the cross. A thousand voices chanted in the German tongue of my ancestors, “Stay with me, remain here with me, watch and pray, watch and pray.” After that moment, everything was different. My remaining days at Taize were full of grace. When the liturgy ended, I went out into the summer night. People were sitting in small groups on the lawn, watching spectacular bolts of lightning play across the far horizon. First the still small voice, then the fire from heaven. Theophany indeed.